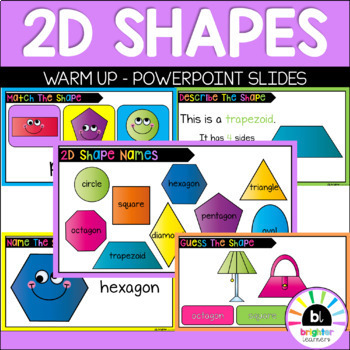 Use this powerpoint to introduce or revise the concept of 2-Dimensional shapes. 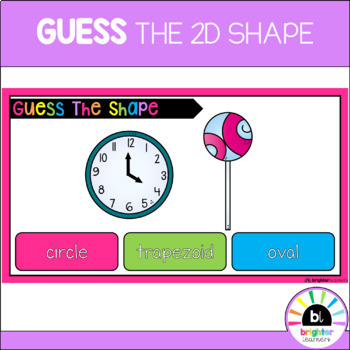 2D shapes included are: circle, square, triangle, rectangle, oval, diamond/ rhombus, trapezoid, pentagon, hexagon & octagon. Why use a warm up? Using a warm up is an easy way to transition the children from one learning area to another. They are exposed to previously taught concepts in an engaging way that simply allows the children to 'warm up' their brains or activate prior knowledge. 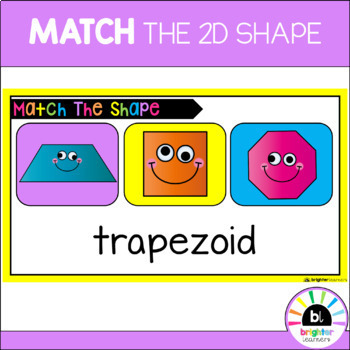 This allows children to tune in to previous learning and make the connection from past learning to the concept that is about to be taught. When creating a warm up presentation it's important to include various skills that your children need to remember. I recommend moving a small selection of these slides into your daily warm up presentation. That way you can mix and match what is included to always keep your children interested. 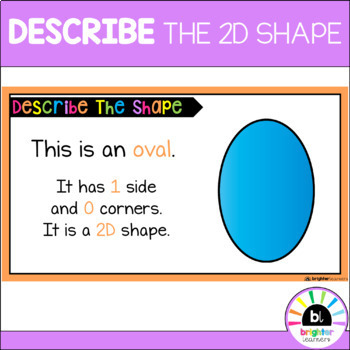 However, this can be used as one document for a 2D shape overview or teaching. Check out my profile for other warm ups you can include. Please feel free to contact me through TPT or on instagram @missbarlow_, if you have anymore questions or would like to request something specific.